This is a 5 reel, 3 rows, 15 line video slot featuring Wild Symbol, Scatter Symbol, and four different free spin modes. In Dracula’s Family, you can play 15 bet lines with different coin values. The Wild symbol substitutes for all symbols except Scatter symbol and appears only on the 5th reel. When the Wild symbol appears it turns all the symbols of any two reels wild. These symbols can be positioned anywhere on the active pay lines but will only be active when all three are displayed in one betting round. 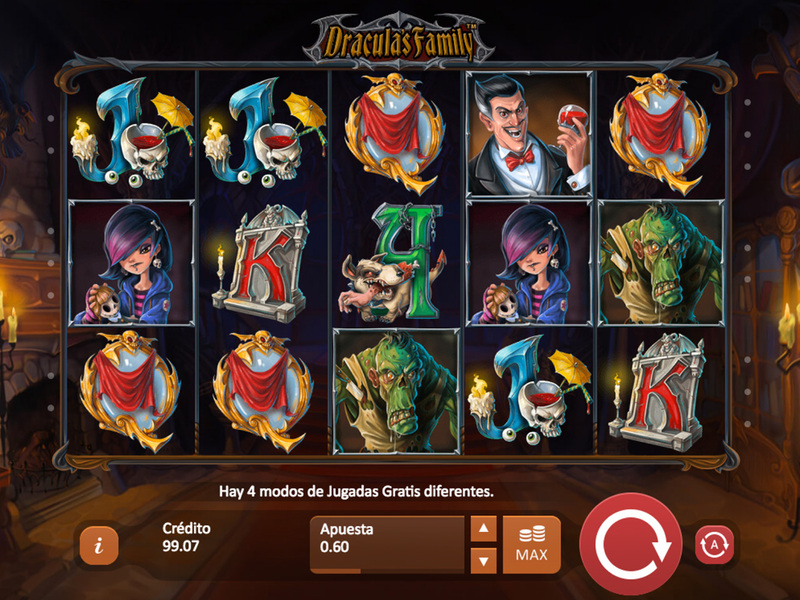 3x “Dracula’s Family” Symbols will pay x5 the player’s current bet amount. 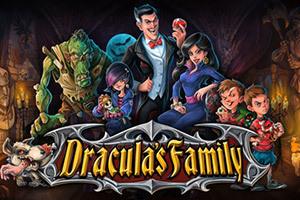 3 or more “Dracula’s Family” Symbols will trigger the free spins mode. When the Player completes the last instance of the Free Spins Mode the sequence then they may choose to play any of the unlocked Free Spin types open to them once the Free Spin mode is activated. There are four different free spins modes. These are unlocked by players in a progressive sequence. As players achieve three instances of one Free Spins mode they then progress to the next. Progression is saved, in real money play, across multiple sessions for the player via Player’s User Profile in the Game Server Database. Therefore, the users’ Free Spins progression is saved across multiple devices that the player may use at different times. Once the player achieves the final instance in the Progression Sequence they may then choose to play any of the four Free Spins options once the Free Spins mode is activated.